This is the brown model, not the black. It has a smooth finish all over. I will try to take a photo that shows the colour better. 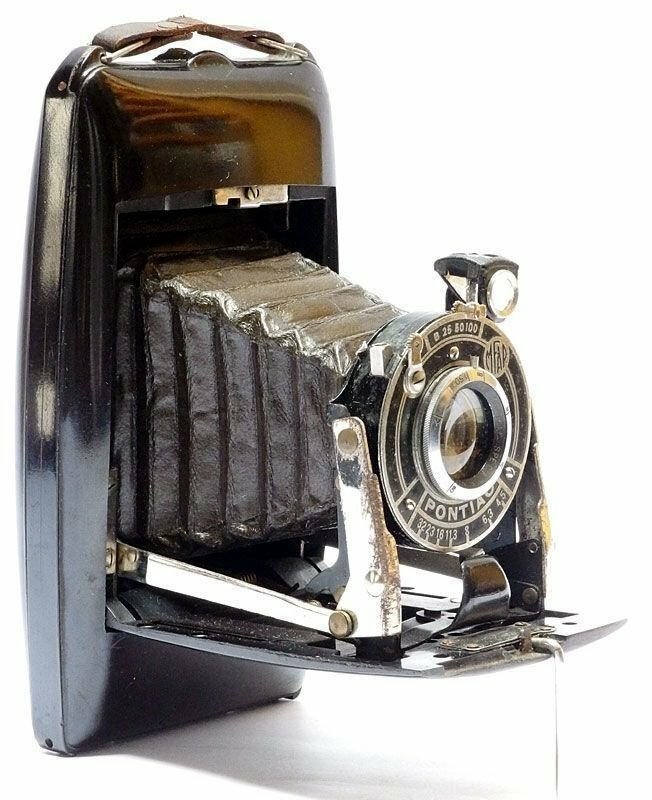 This camera is rare to find without any damage to the bakelite. The small metal tab that stops the front lens element from falling out during focusing is missing. The shutter functions badly, it tends to open on the return movement of the release.